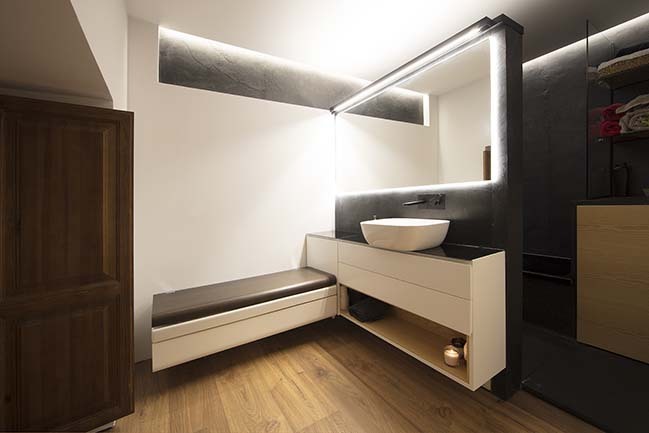 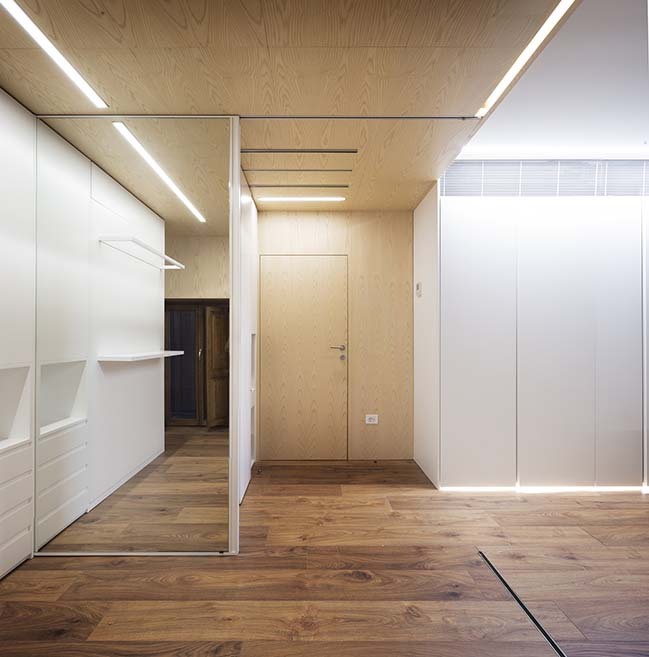 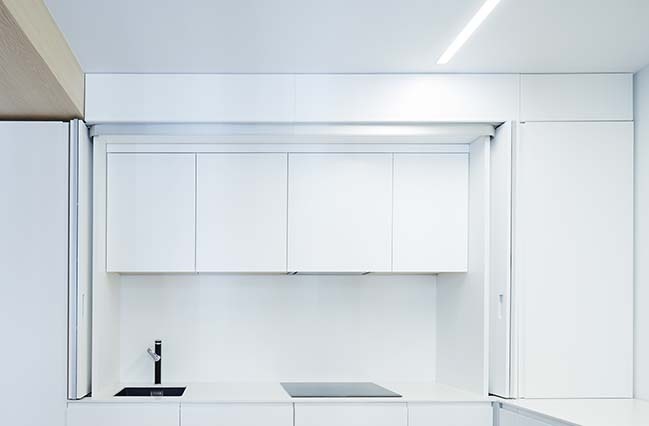 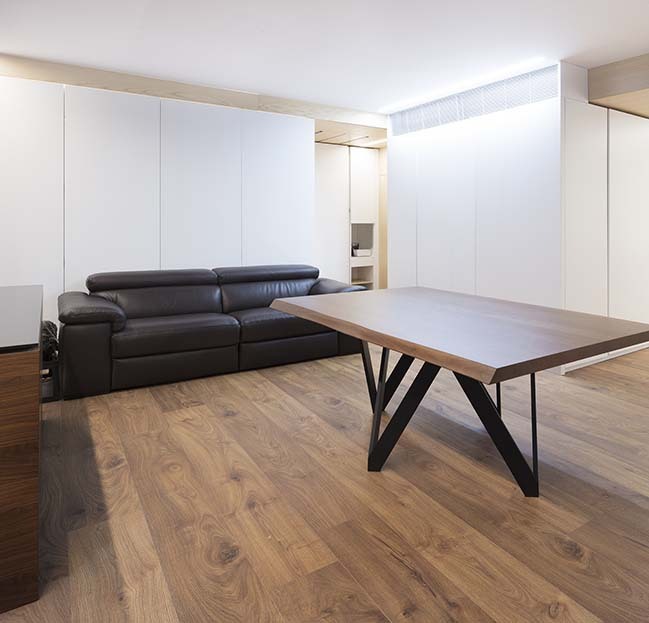 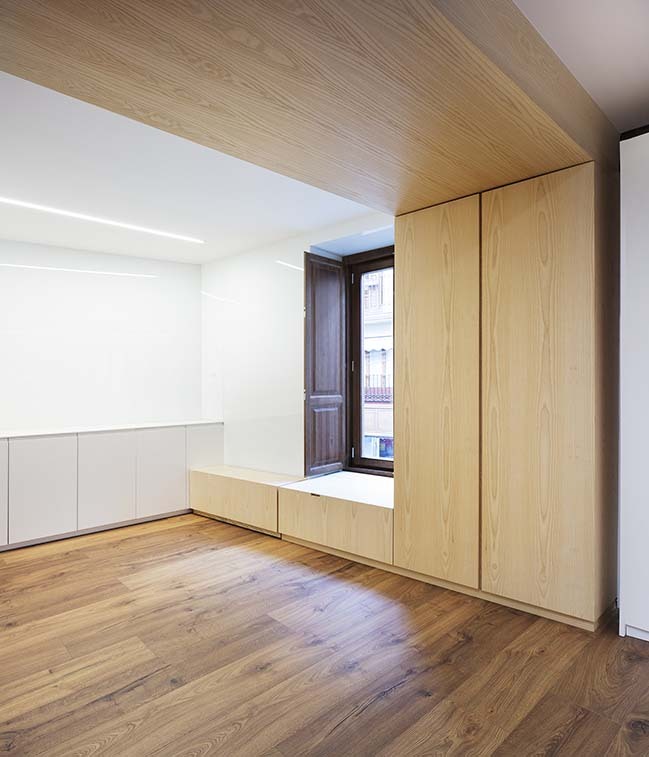 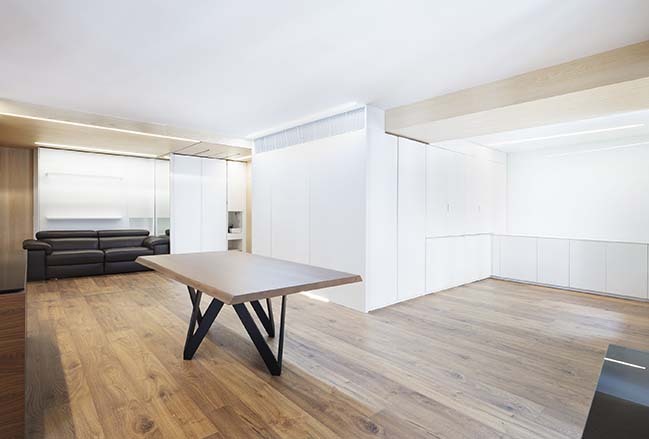 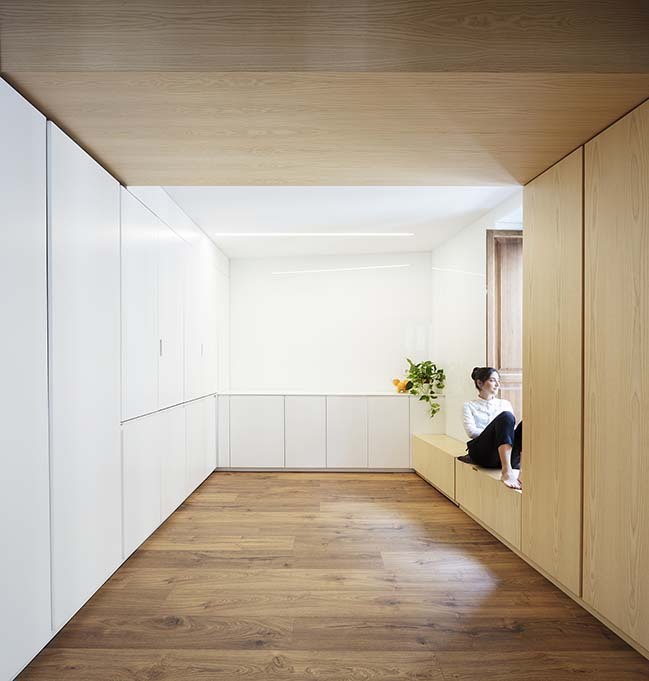 A small apartment in the historical centre of Valencia, with a main corridor that connected small and restricted rooms was the pre-existence, the starting point of the project. 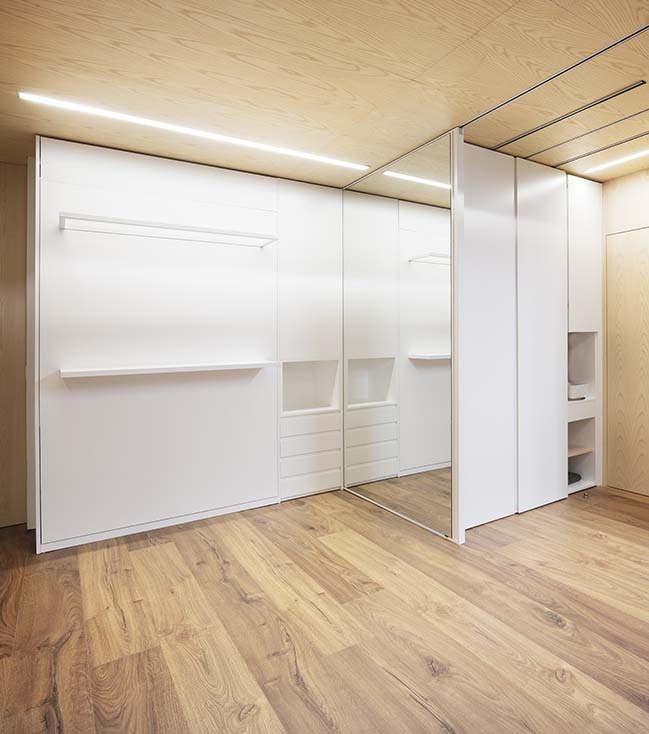 From the architect: The approach of a unified interior distribution, by eliminating the partitions goes extreme, so that all of the rooms, except the bathroom, coexist in one versatile, transforming and dynamic space. 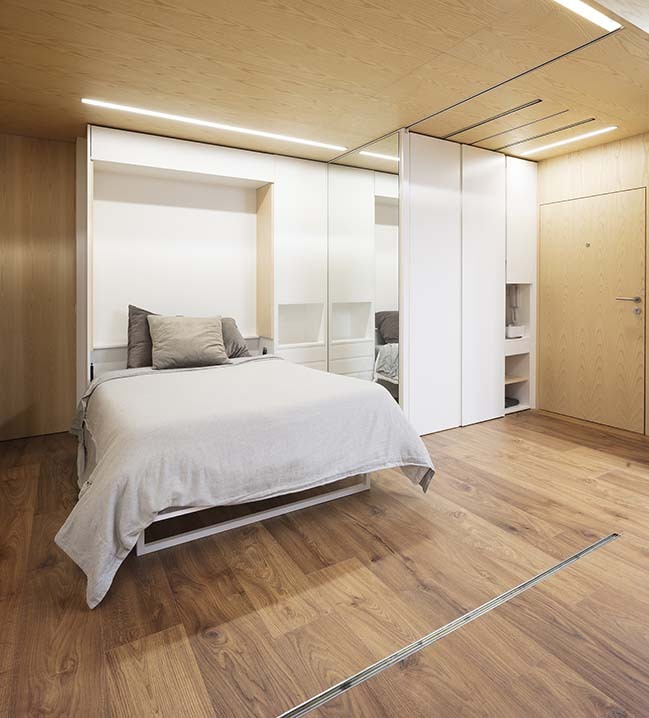 A piece of furniture goes through the opaque perimeter of the apartment, creating a container for the rooms that open (or close) towards the main space. 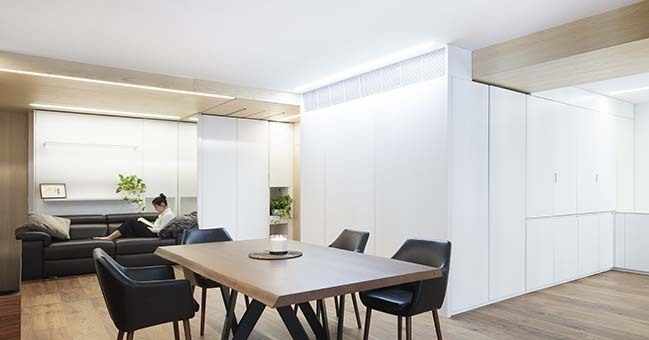 Therefore, this furniture includes the kitchen, which can take part in the space when needed; or the main bedroom, that can blur its boundaries, giving its space to the living room. 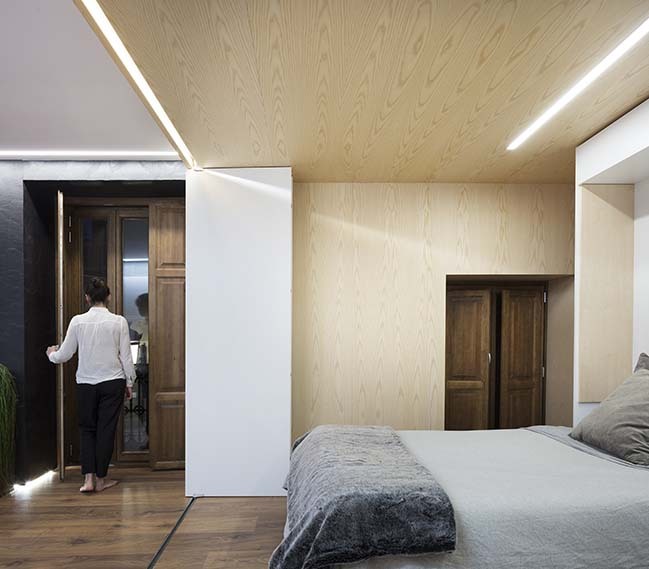 Materials are used with the goal of building a home, using warm tones and textures. 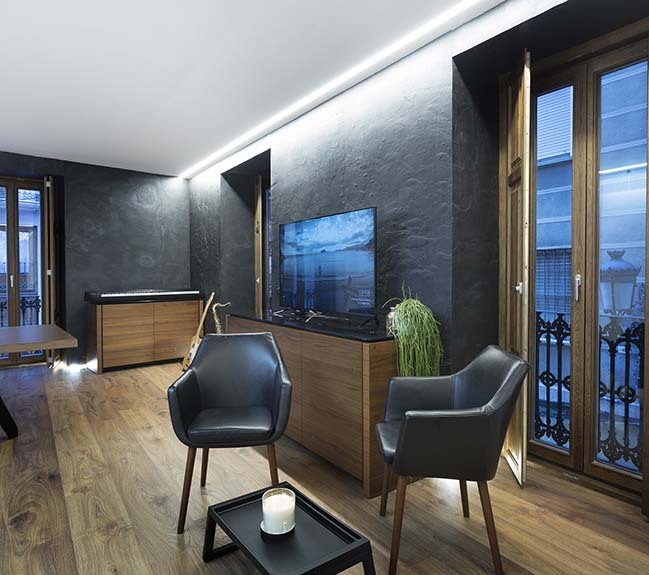 Natural wood and slate cover the space in its three dimensions, at different heights, creating intimate and cosy areas. 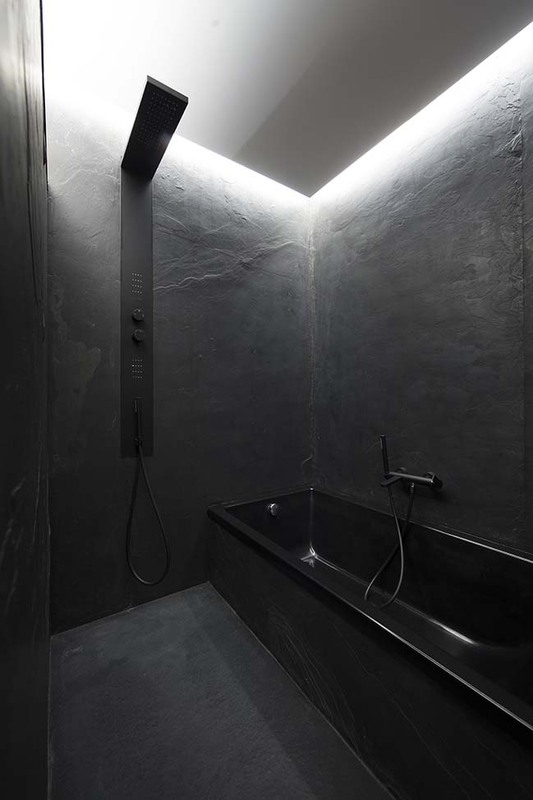 This idea becomes more powerful with a regulating and warm lighting system.